Episcopal Bishop M. Thomas Shaw has pushed for peace in the Middle East and worked on strategies to help end gun violence in Massachusetts. He has donned a purple cassock and joined Palestinian sympathizers protesting in front of the Israeli consulate. Gay but celibate, he has immersed himself in East African cultures to better understand the antigay sentiment. Lately, he has asked his congregants — and other faith leaders — to help eradicate gun violence. Bishop M. Thomas Shaw of the Episcopal Diocese of Massachusetts, who announced his retirement last week, leaves a singular legacy as he prepares to depart Boston’s religious scene. A soft-spoken monk who leads one of the largest Episcopal dioceses in the country, the prayerful bishop has been extraordinarily vocal — and sometimes controversial — in the public square. “I think Tom’s profound respect for other individuals, while also being very clear about what he believes and why he believes it, has made a difference,” said the Rev. Katherine Ragsdale, president of the Episcopal Divinity School in Cambridge. Shaw cast his decision to retire as a natural one. He will be 68 this year, approaching the mandatory bishop retirement age of 72, and the process of selecting and installing a successor takes about two years. By then, he will have served 20 years. The diocese, he said, is sharply focused on expanding its membership and stopping gun violence. The church has almost completed a $20 million capital campaign, $7.5 million of which will bolster youth programs, long one of Shaw’s priorities. Bishop M. Thomas Shaw took on key issues. Shaw’s transition into office, by contrast, was painful and abrupt. His predecessor, David E. Johnson, killed himself after engaging in extramarital affairs. 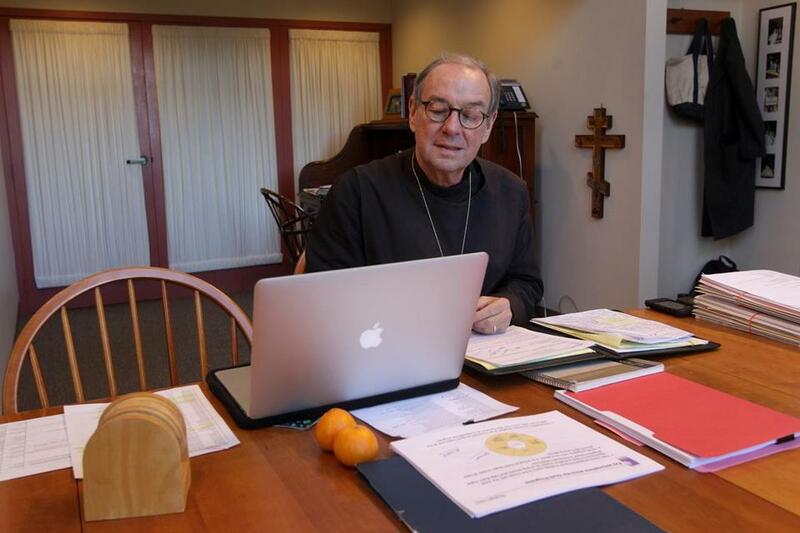 Shaw, who lives in a small cell at the Society of St. John the Evangelist in Cambridge, devoted his first years as bishop to helping the diocese heal. But he soon made forays into the civic sphere. In the spring of 2000, he spent a month in Washington interning with an Episcopal Republican congressman from New York to better understand the public policy process. His passionate concern about Israel’s treatment of Palestinians led him to join a protest outside the Israeli consulate during the second intifada a decade ago. The action shook interfaith relations in Boston; Jewish leaders, caught by surprise, saw the action as an affront. Discussions between Shaw and leaders in the Jewish community since then have, to some extent, helped assuage some of the hurt feelings. About six years ago, Shaw initiated a series of regular meetings about the conflict in the Middle East between Episcopal leaders and a group of Jewish leaders, said Rabbi Eric Gurvis of Temple Shalom in West Newton, a past president of the Massachusetts Board of Rabbis. “I think he felt that he had done some damage that he very much wanted to undo vis-a-vis his relationship with the Jewish community, and also he wanted to better understand the broader picture of the conflict,” Gurvis said. Shaw has continued to speak out for Palestinian rights and for peace — recently, he has made connections in the progressive Jewish community through groups like the New Israel Fund — and says he is working on ways Christians can help end the conflict. Some Jewish leaders find it impossible to move beyond his actions in 2001, Gurvis said, but he said he found the bishop “a very sensitive, caring person” who has become more measured in his public approach to the issue. “It takes a lot to admit, ‘I may have hurt you, and I want to understand why what I did or said hurt you,’ ” Gurvis said. Shaw’s attention to nuance was more evident as he negotiated conflicts within the Episcopal Church on whether to consecrate gay bishops and bless gay unions. A vocal advocate for gay rights in the church, and in the larger world, Shaw nevertheless made efforts to be sensitive to conservatives in his own diocese — waiting until late 2009, more than five years after gay marriage was legalized in Massachusetts, to give priests permission to officiate at gay weddings, for example. He also let a breakaway congregation in Marlborough be overseen for a time by a conservative Anglican bishop from Canada; the church eventually left the diocese, but without a fight. Bishop William Murdoch, a former Episcopal rector who now runs the Anglican Diocese in New England, a group of conservative Anglican congregations, did not respond to requests to comment for this story. Shaw did not speak publicly about his own sexuality until last year, when he discussed being gay in a documentary film, “Love Free or Die,” about New Hampshire Bishop V. Gene Robinson, the first openly gay bishop in the Episcopal Church. The revelation was low key, and it came well after the church settled major debates about gay issues in favor of inclusion. People hardly noticed. In an interview last week, Shaw said that because he is a celibate monk, publicly discussing his sexuality posed unusual difficulties. He said he did not want to send the message that, as some conservatives argue, gay people should be celibate. “My hope has always been . 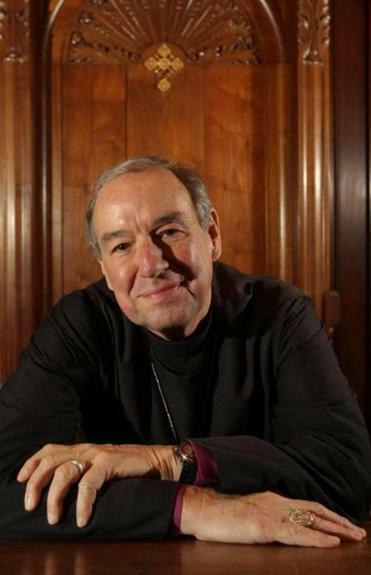 . . that we can move along this discussion about human sexuality in the best possible way, and I thought for myself the best possible way I could move it along as a celibate bishop was not by hiding it, but by not making myself the center of the discussion,” he said. Shaw said he has raised it in private conversation now and then over the years, when it seemed like doing so could be helpful. “It’s been one of those wonderful challenges that I think God has offered to me in the life of the church to really go deeper into my own spirituality, my own relationship with God, and to experience my own freedom as a human being,” Shaw said. After hearing “aggressive” antigay statements from African bishops at the 1998 Lambeth Conference, the Anglican Communion’s once-a-decade worldwide gathering of bishops, Shaw decided he needed to learn more about the source of those sentiments. He immersed himself in the church’s health and education projects in Uganda and Tanzania, he said. Almost a decade and a half later, he maintains a long-held optimism that sexuality will become less divisive in the Anglican Communion over time. At a time when mainline congregations are struggling to bring young families into the fold, Shaw has been particularly attuned to creating better programs for youth. One of his proudest accomplishments was the 2003 construction of a diocesan camp and retreat center in Greenfield, N.H. And St. Stephen’s Episcopal Church in the South End has built a summer program serving hundreds of inner city youth called the Bishop’s Summer Academic and Fun Enrichment program, or B-SAFE, which draws volunteers from churches across the diocese. A star graduate of that program was Jorge Fuentes, who became a beloved counselor and mentor. In September, the 19-year-old aspiring US Marine was fatally shot across the street from his home in Dorchester. “When Bishop Tom heard the news, I think he was shocked, devastated, brokenhearted,” said the Rev. Liz Steinhauser, director of youth programs for St. Stephen’s. He presided at the funeral and helped lead a candlelight vigil for peace after the wake, which drew about 1,000 people. At the diocesan convention in November, Shaw implored delegates to endorse strategies to help learn about gun violence and eliminate it. “You know, I can’t get the kid who murdered Jorge Fuentes out of my mind,” he told those gathered. Shaw has invited about 30 religious leaders to a breakfast next month to discuss strategies to end gun violence. He has asked parishioners throughout the diocese to educate themselves about poverty, a root cause of violence, by reading Tavis Smiley and Cornel West’s book, “The Rich and the Rest of Us.” The bishop said he also hopes to support legislative gun control efforts. In retirement, Shaw said he hopes to continue his work on health and education projects in Africa. He will spend more time with his monastic community. And he will work on his pottery, a favorite hobby. Asked about his impetus for political activism, Shaw cited the life of Jesus. Bishop A. Robert Hirschfeld, a former Massachusetts priest who recently succeeded Robinson as bishop of New Hampshire, lamented that his time working with Shaw as fellow bishops would be abbreviated.